It’s finally here, the day we’ve all been waiting for since August 1. Blaugust is ending today, and whether you’re a Blaugust “winner,” participant, or just a regular reader who’s been following me through this month, I wanted to say thank you. Some days were difficult but being part of this huge community of bloggers and readers has made it totally worthwhile. So how did I do? Well I managed a post for each day so I guess I “win” Blaugust! I’ve had a regular readership of a few dozen loyal folks, with a few days where I got some extra attention. The day of my double post was my best, but there’s no way I will be attempting to post that frequently in the future. Honestly the only way I managed to get through the whole month with daily posts was by making a plan ahead of time with topics, writing prompts, and regular features like Screenie Saturday. Writing the Shiphand Buddy series in particular was rewarding but also added quite a lot of work since I needed to research and run all of those missions many times in order to write the guides. 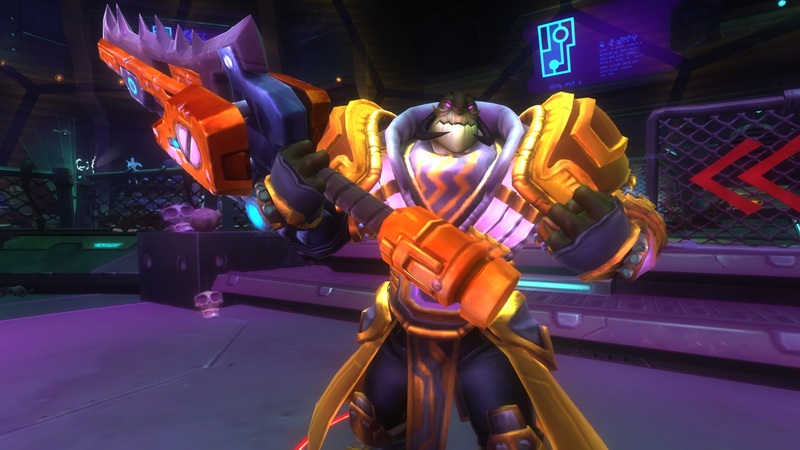 All that hard work paid off though, since they were featured on WildStar Core! 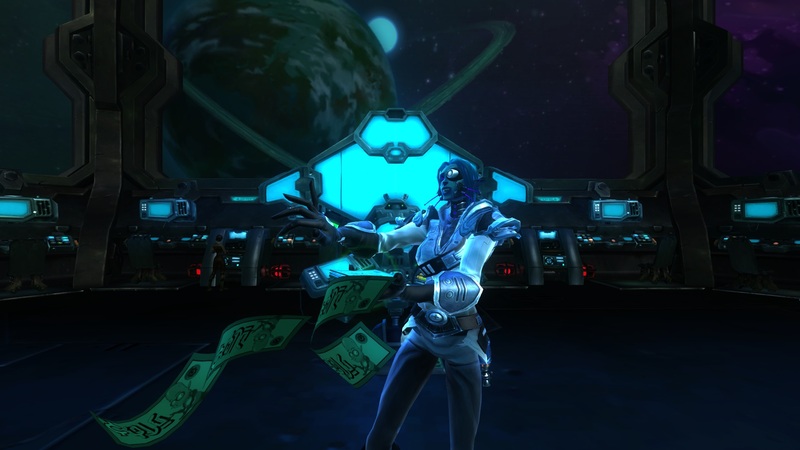 At the beginning of the month I tried to take stock of my cash savings in WildStar and track it for the month. Unfortunately I got pretty lax about spending money midway through the month. Based on a couple high-cost items I bought, I’m guessing I made a total of around 150-200 plat over the course of the month. Sadly my cash-on-hand is only about 10p. The market has shifted dramatically since the beginning of August with the anticipation of F2P. On the flip side CREDD has gone up a bit in price over this month. Most of my money-making avenues are still functional but are just bringing in far less profit than they used to. Hopefully when the drop lands the combination of lots of new players and changes to gear will help me start churning out the plat again. I set up my “What I’m Playing” posts in part to have an easy topic for the weekends, but also to try to encourage me to play more games. I succeeded at the first part but not so much at the second, since as the month progressed I played fewer and fewer. Partially that has been due to fatigue and stress, which make me want to stick with easy, familiar games. I may actually try to keep this feature, since it has been fun for me personally to be able to look back and see the record of what I’ve been up to all month. 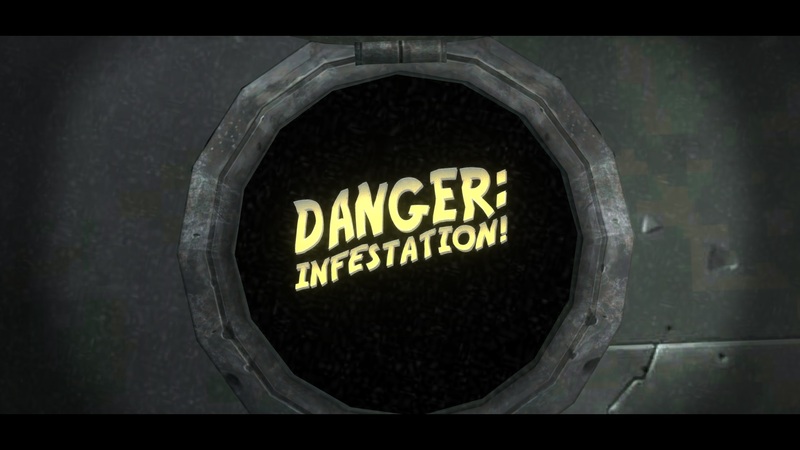 Blaugust was also a nice experiment in adding some commentary about games other than WildStar here on Moonshine Mansion. I suspect I will continue this. 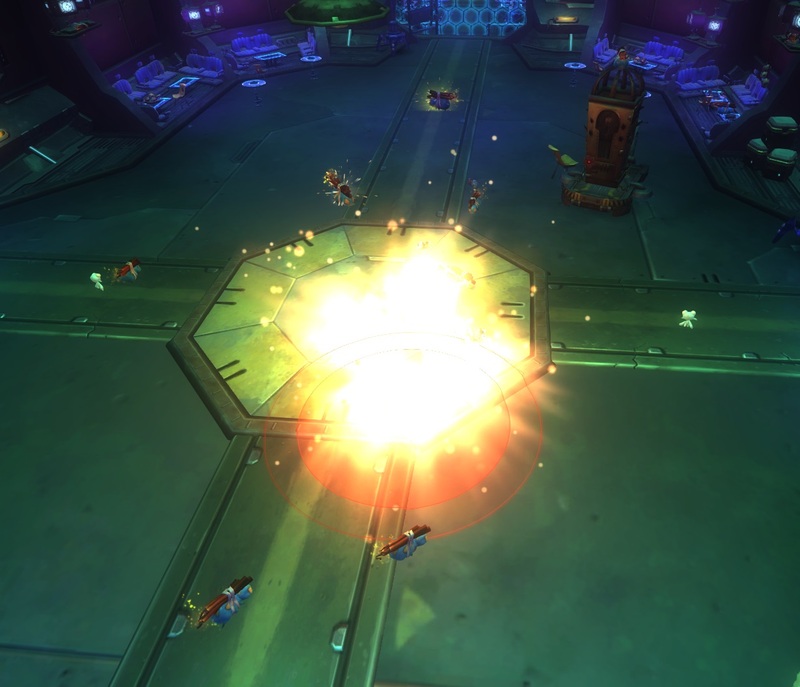 The main focus of this blog will stay WildStar for certain, but I will happily sprinkle in posts about other games once in a while. 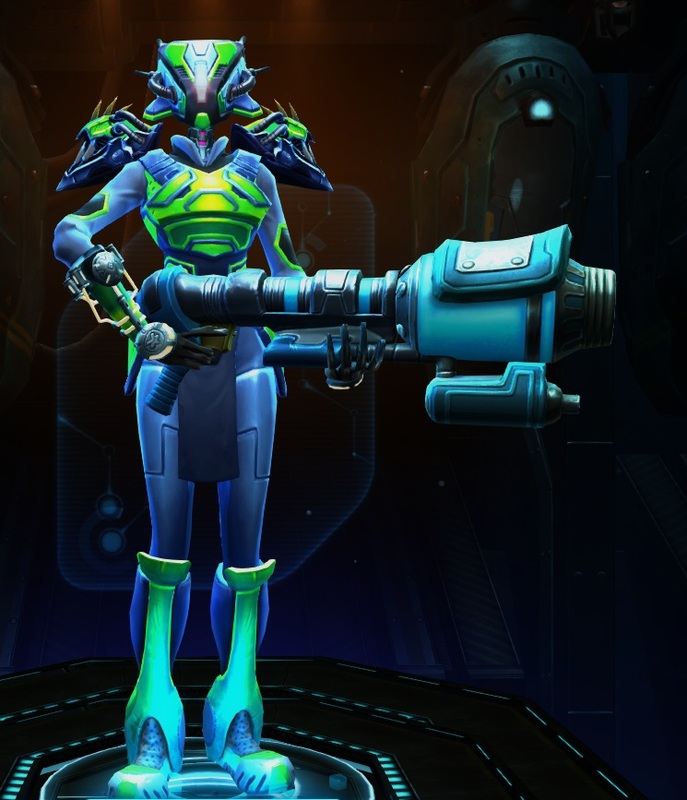 With F2P coming soon I doubt I will be lacking for WildStar content to talk about for a long time. At the beginning of the month, I said that all I hoped to get out of Blaugust was to get in the habit of posting more frequently. Since I managed a post every day I guess that was definitely a success. I absolutely do not plan to keep up the daily schedule moving forward, but I do have a lot more respect for the folks that post that often. My new goal is 2 posts per week, which is much more reasonable for my schedule. Thank you all again for taking this silly journey with me. And a very special thank you to Bel for all his hard work organizing this event, wrangling bloggers, tallying votes, and figuring out prizes. Here’s to a very peaceful and relaxed September! The pic says it all. This week was dominated by one game. Diablo 3: This is where I spent almost all my free time this week. I played around with the new goodies added in the patch, and tried to get back into the groove and ready for Season 4. I managed to get online about an hour after the season started on Friday, and spent every possible moment playing all weekend. The end result is pretty darn sweet for only a few days worth of effort. I got to level 70, paragon level 90 and can easily do Torment V.
WildStar: I did get some raiding in on Tuesday, and even got an upgrade. Then I wasted way too much money on runes that are going to be replaced as soon as F2P happens. Ah well, it’s only videogame money. 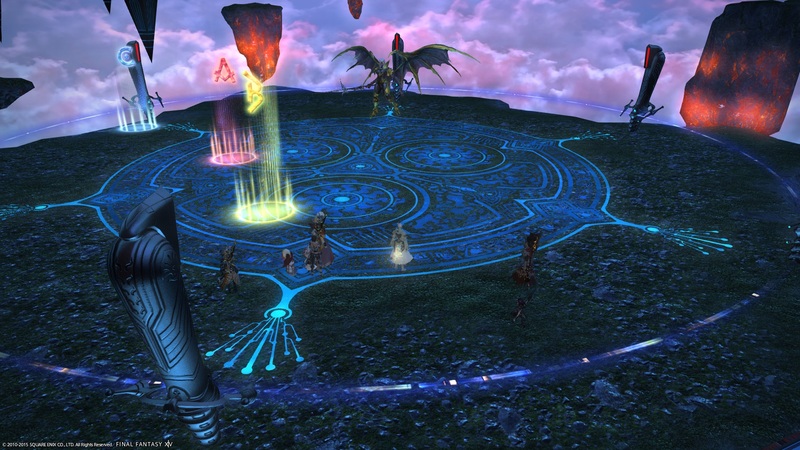 FFXIV: I got some attempts in on Ravana with both my Monday and Wednesday raid teams, but neither group managed to finish him off yet. Hopefully that happens this week! That’s it! I really did spend so much time playing Diablo 3 that there wasn’t any leftover for any other games! The end of Blaugust is only a few days away, and as far as I’m concerned that’s cause for celebration and a little sadness. It also got me thinking about some moments in MMOs that are really cool or pretty but also fleeting. The top pic in this post is from Idyllshire in FFXIV. That game has so many amazing details that I keep discovering new ones. I was standing around chatting and it was raining. Suddenly the rain started to taper off and this beautiful rainbow appeared. Just like in the real world, it only lasted for a minute or two before the sky fully cleared and the sun came out. 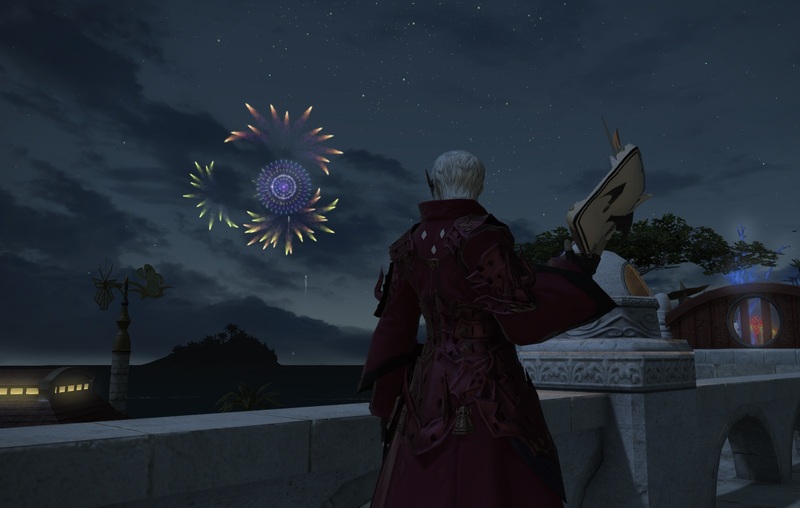 This one was taken near our free company house in the Mists during the summer event. We get treated to the fireworks display from the capital city, viewed over the ocean. It was another moment where I was going about my business when I suddenly realized something beautiful was quietly happening around me. 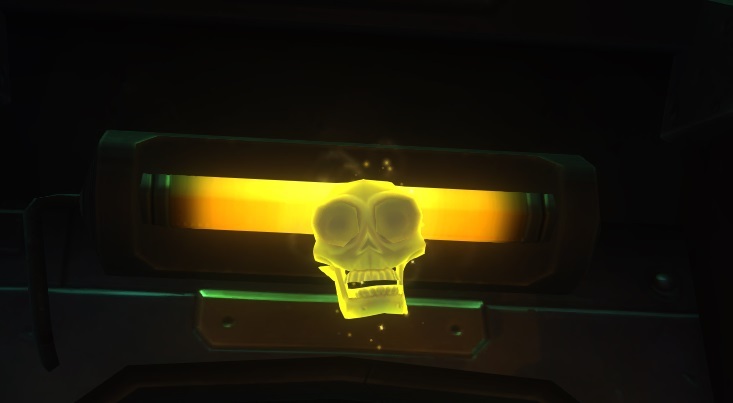 Last I wanted to add this one from WildStar. 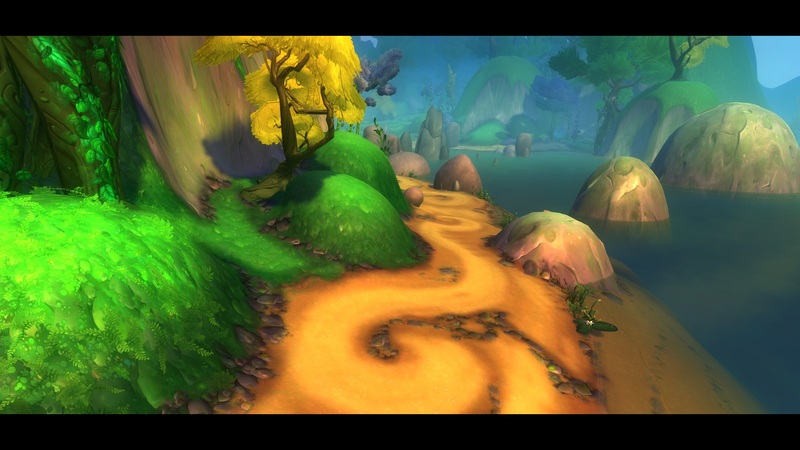 It’s from Everstar Grove, the default starter zone for Aurins and Mordesh. I chose this one because it is so pretty, but also because as you play through the zone you see it and its inhabitants destroyed by the war between the Dominion and Exiles. At least I can always go back and experience it again on a new character! 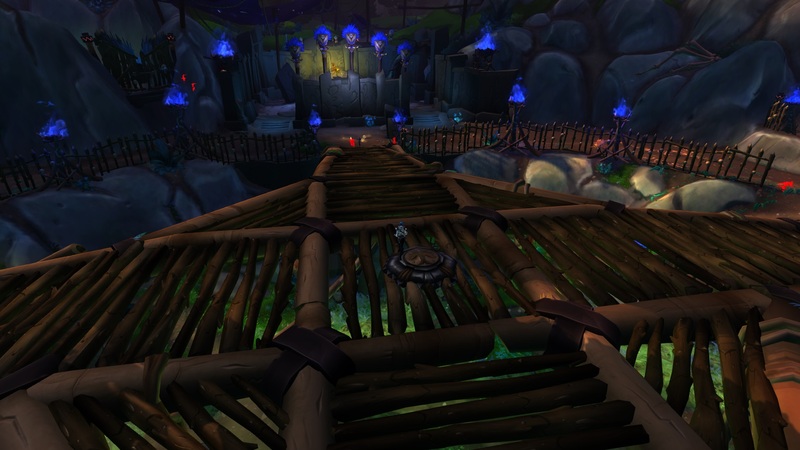 I’m writing this post at the last possible minute, in a brief break from leveling. It probably won’t end up getting posted until *technically* a day late, but since I’ve been keeping up so well with Blaugust I’m going to allow myself this one slip-up. 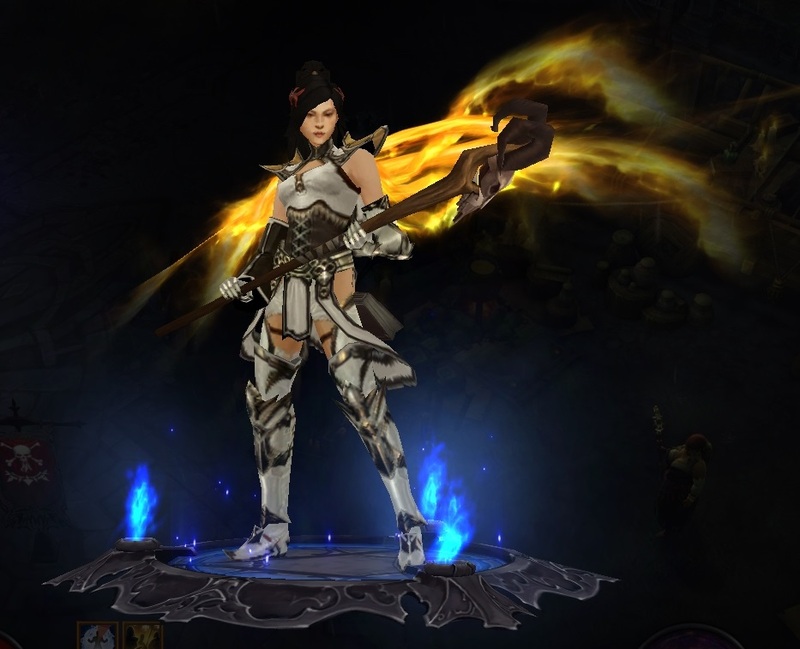 Season 4 of Diablo III has begun and it has been great to see so many people returning to the game. I had a blast running around doing bounties and leveling up. I’m not sure if this is new since the previous season, or if I just didn’t notice it before, but most of the low-level crafted sets have very cheap mat requirements now. It meant that even when I was unlucky for a few levels I could usually make myself some awesome gear and not worry about wasting legendary crafting mats. That’s an A+ change as far as I’m concerned. 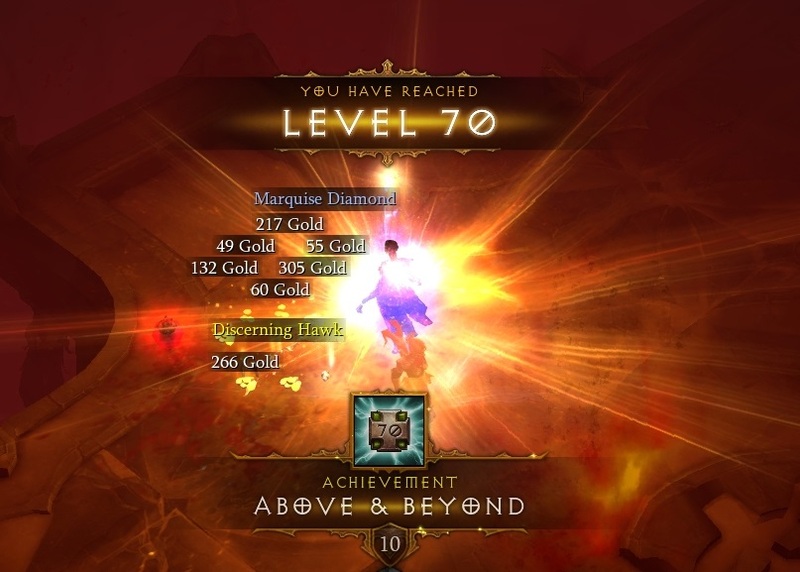 I can’t wait to get to 70 and start tackling greater rifts again! Another super quick post today because I’m completely running out of things to say. Blaugust has just a few more days left and I know I can finish but it is not going to be easy. Last night was a classic case of having way too many things to do on reset day and only feeling motivated to do the “wrong” one. 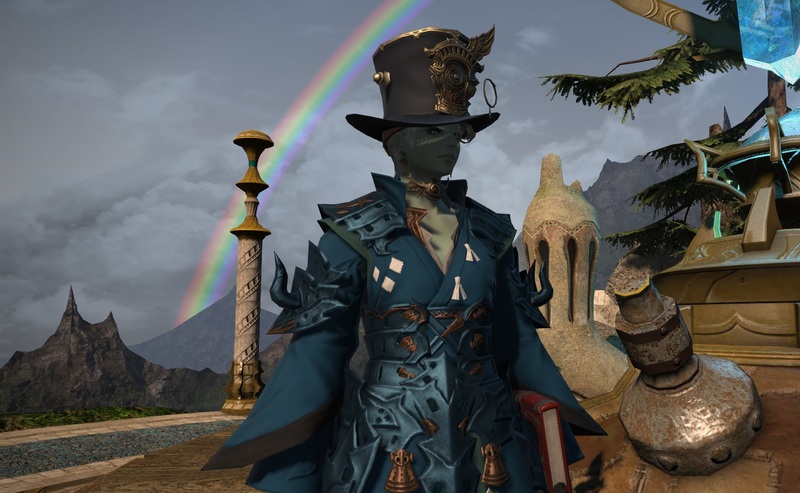 I hopped into FFXIV exactly long enough to do my daily expert roulette and quickly ran away. I still really love that game but there’s way too many other shiny things stealing my attention right now. 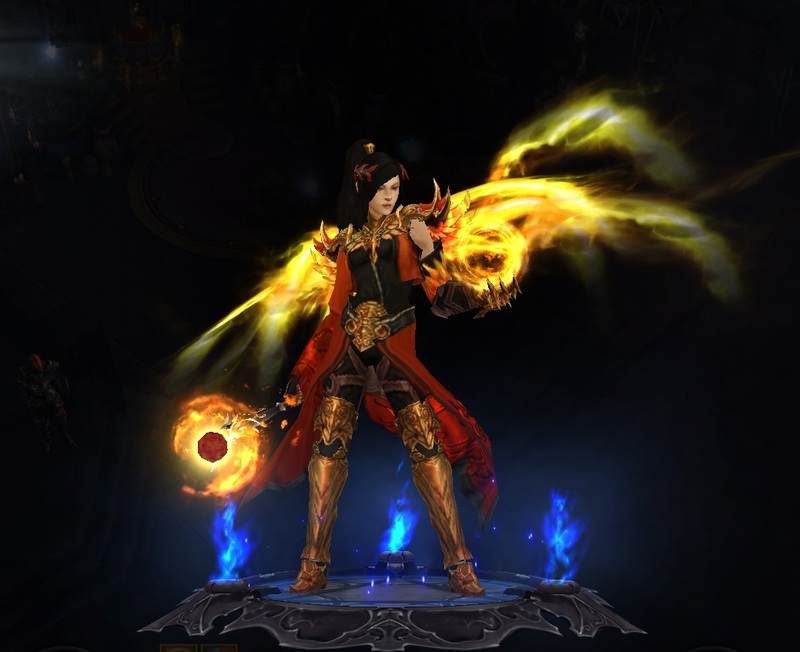 The main new shiny is the new patch for Diablo 3. That’s where I really wanted to spend my evening, even though it is a bit of a waste of time right this second. If you’re not familiar with D3, they’ve added “seasons” where you have the option of starting over from scratch without the money and resources you’ve gathered over the years. Completing objectives during the season can earn you cosmetic rewards like transmog and new name plates. Right now season 3 has just ended but season 4 won’t start ’til the weekend, so it feels a little silly putting in much effort knowing that I’ll be starting over from scratch in a few days. Still, it is fun checking out the new stuff, and hopefully I’ll be a little more prepared once the new season starts. 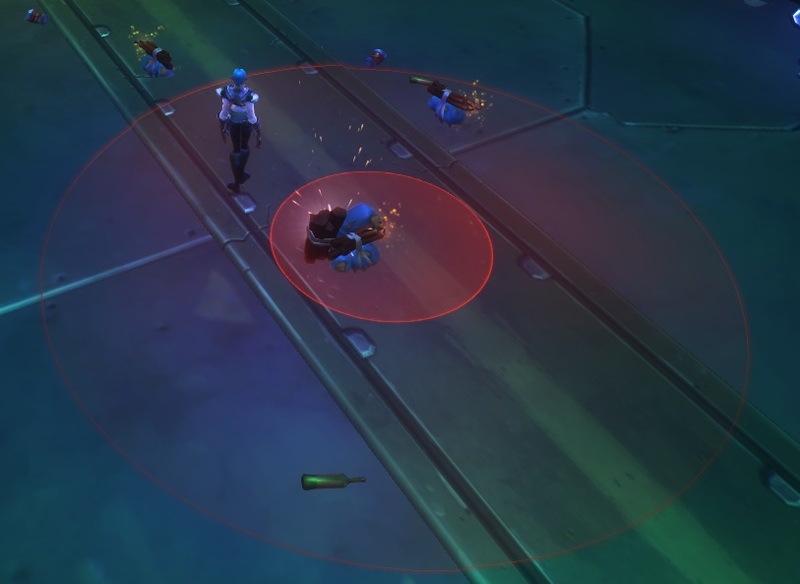 I wanted nothing more than to just chill out with Diablo all night but figured I’d check in to WildStar just to get things started after the weekly reset. One thing led to another and I ended up raiding for the rest of the night. 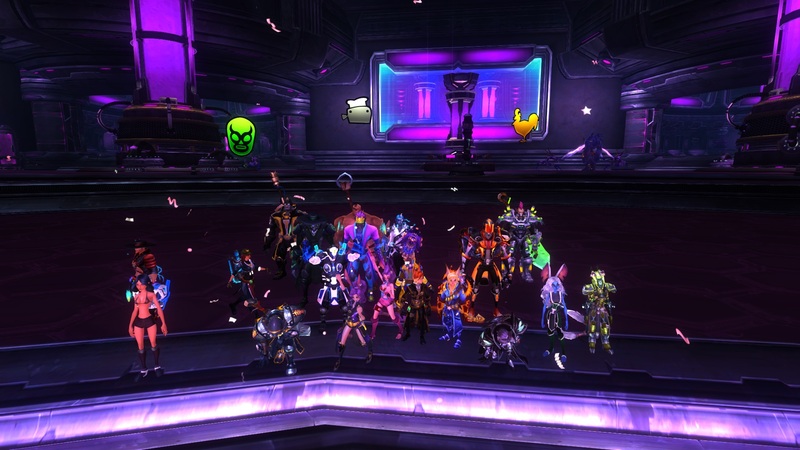 I had a really fun time so I don’t regret it, but now I’m really itching for some more D3! Quick post today because it is Monday and my brain is all out of ideas. I managed to get my second seasonal wizard up to level 70 before season 3 ended last night at 5pm pacific time. In fact I had about 4 hours to spare. I’m not sure why I felt the need to do this at the last minute but it was not a bad way to spend a lazy Sunday afternoon. Diablo 3 is always my default game when I need to run away and hide. It is also great after a rough day at work. I can just shoot demons and get loot and turn my brain off until I’m ready to rejoin the world of the living. I am really looking forward to all the new stuff they will be adding to the game in the next patch. Hopefully I can level in season 4 with a bit more time to spare. Just taking a quiet moment to myself. For as much as I’ve been sharing my adventures here, I’m actually a pretty introverted person. Sometimes I just need to step aside for a little while and do something by myself to recharge my mental batteries. 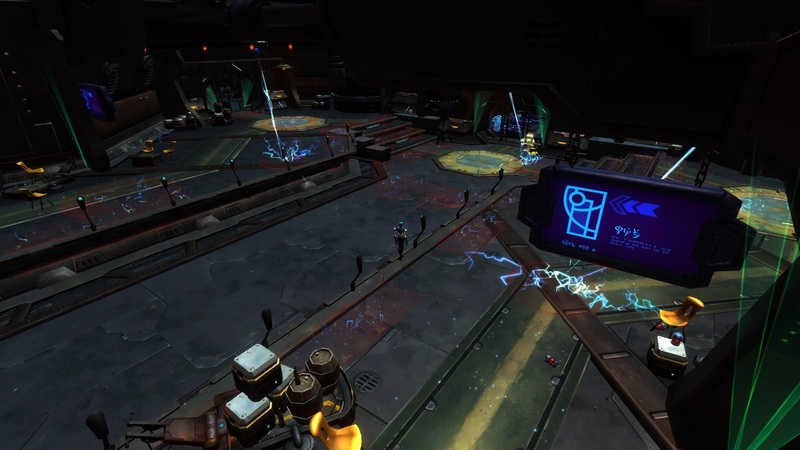 As weird as it sounds, MMOs are great places to be alone. Sure, the whole point of these games is to have giant worlds full of people, but there’s tons of opportunities to get some alone time while still feeling like part of the world. Are you really alone when these guys are with you? 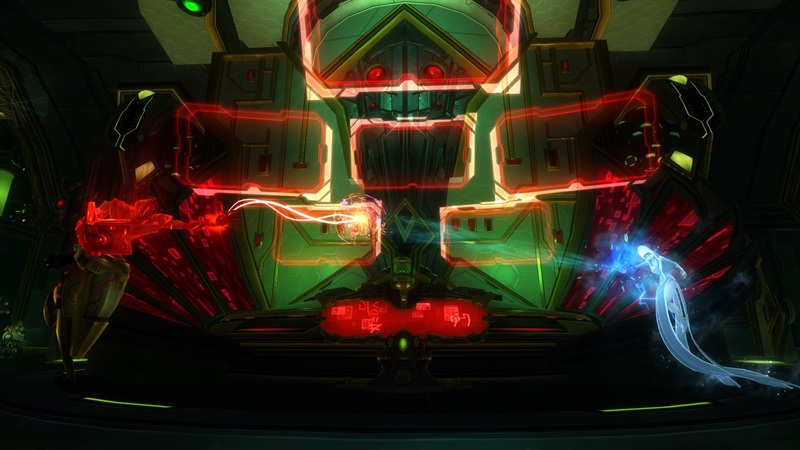 Solo instances like shiphands, Omnicore 1, and the Drusera ones are obvious ways to get some time alone. These are my go-to choice if I really need alone time since they are sealed off from the rest of the world. Sometimes instead I will just go exploring on my own, or farming for annoying rare cooking mats. These activities at least let me see other players. All my friends are dead. This did not end well. Very strangely, I find that I can feel pretty alone in battlegrounds. Often if people are being abusive or annoying in chat I will turn off my chat box and just play. I get the challenge of fighting something more interesting than AI, but get way less of the stress of dealing with people. 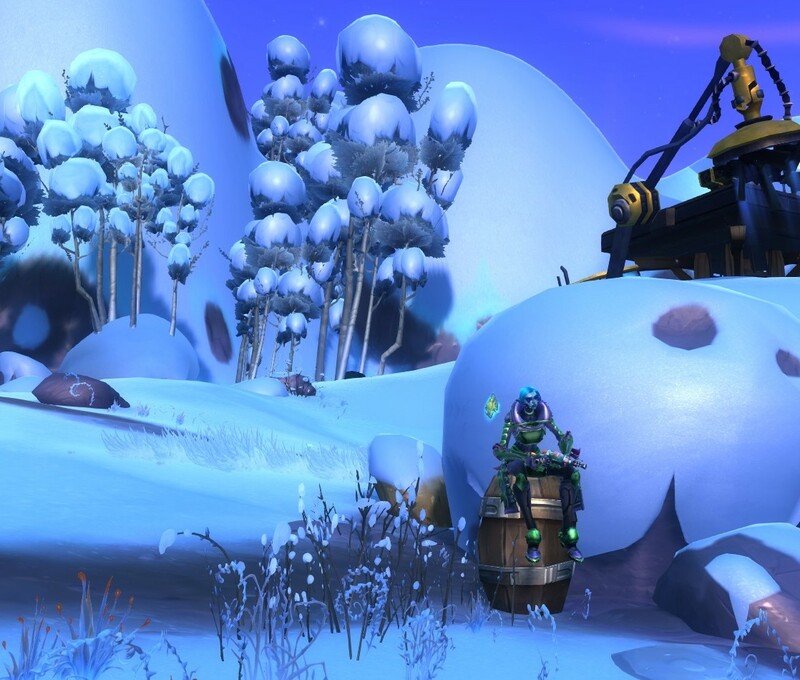 What do you do to relax or recharge in-game? Do you seek out solo time, or prefer to be around other people?